Is it feeling like fall where you are? Fall is a great time to explore leaves. 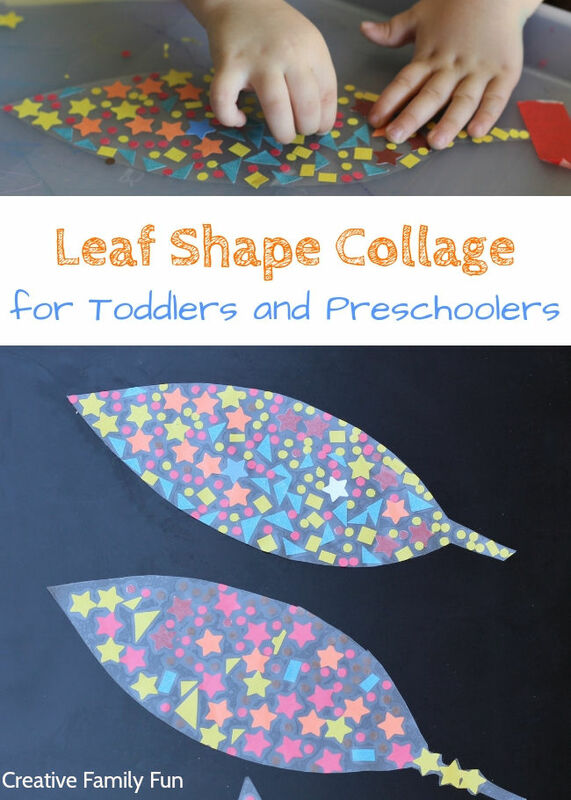 Add this leaf shape collage for toddlers and preschoolers to your autumn leaf theme. 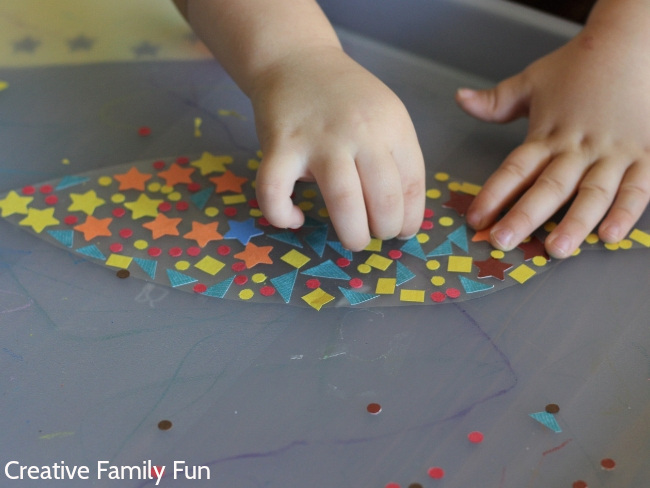 It’s perfect for working on fine motor skills and learning shapes. 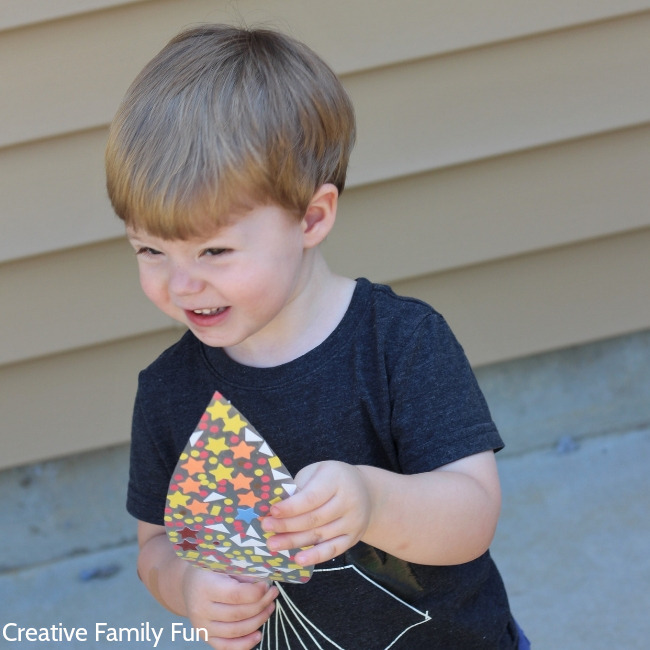 This leaf activity can easily be modified to different ages and abilities. For toddlers, you’ll want to prep everything ahead of time. They’ll be simply adding shapes to their contact paper leaves. You can allow preschoolers to complete more of the steps on their own. 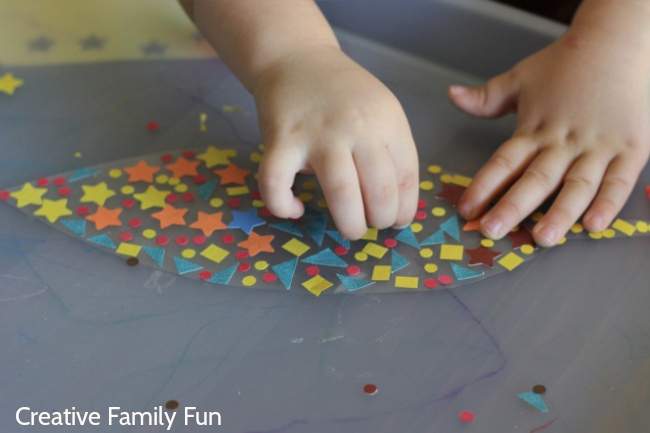 Let them trace the leaves or cut out the paper shapes. Start by tracing your leaves onto white paper. 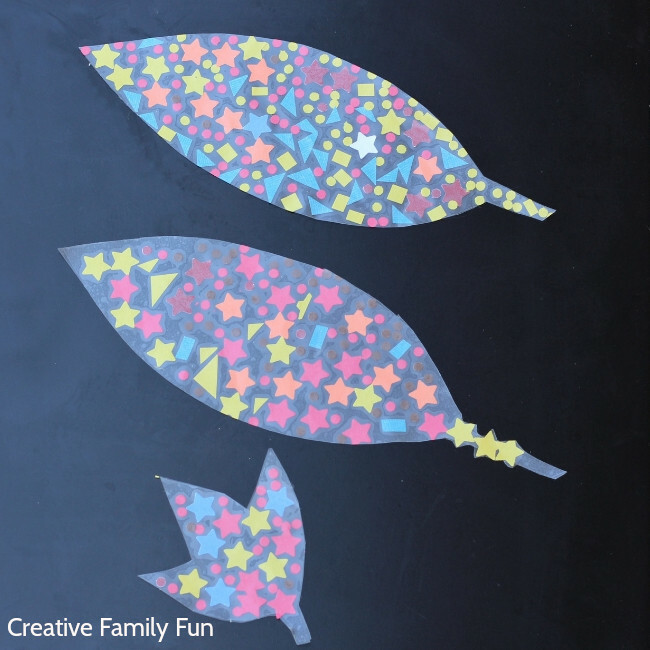 Cut out the leaves and trace them onto contact paper. I chose to trace them onto paper first because the paper is easier to work with than the leaves. 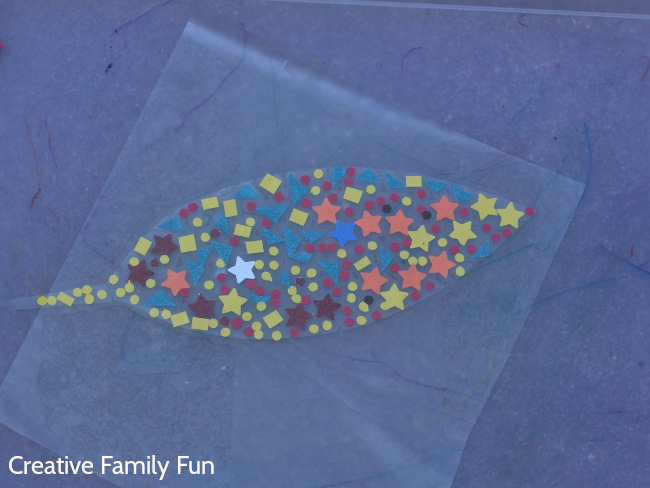 If you are tracing multiples of the same leaf onto contact paper, it will make it easier to use a paper template. 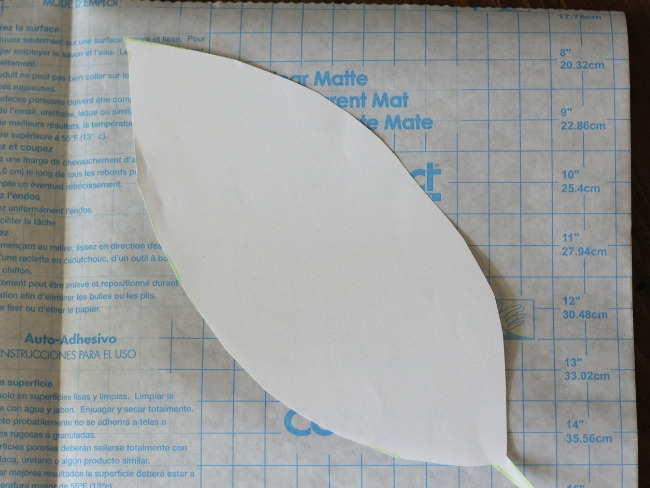 Cut the leaf shape out of your contact paper. Remove the backing and lay the sticky side up. 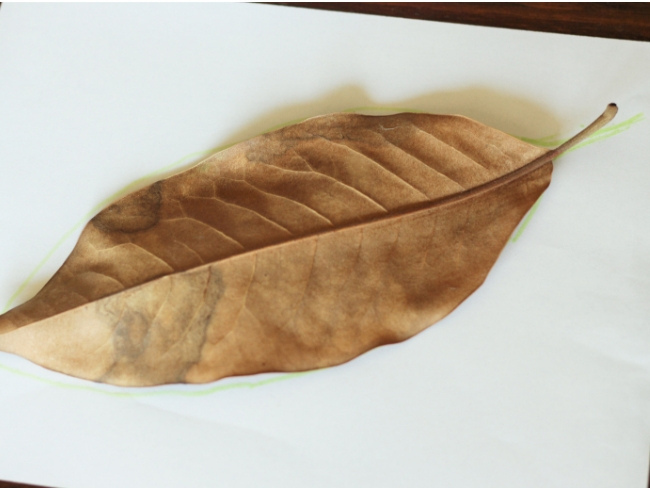 Use masking tape or painter’s tape to keep the contact paper leaf from moving around. 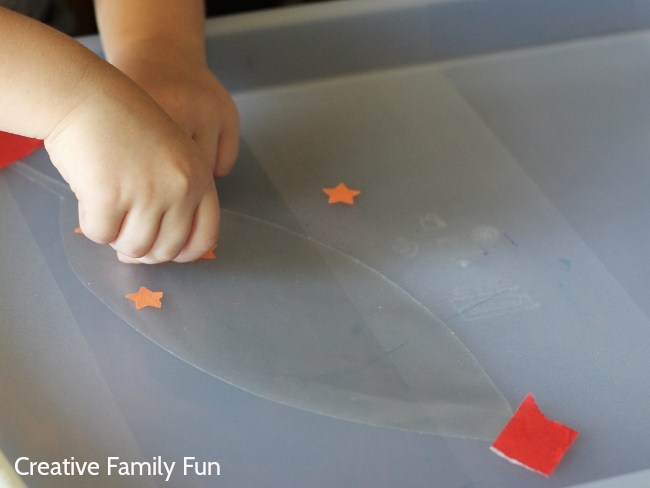 Next, cut small shapes from your colored paper. You can use small paper punches or hole punches. Under supervision, this is a job for an older preschooler. Teach them how to use the punch safely and correctly. Talk to your children about the paper shapes they see. Can they name the shapes? Now is a great time to introduce any shape names they are not familiar with. What shape does he want to use first? My toddler is currently in love with the color yellow, so he wanted a lot of yellow shapes on his sticky leaf. He enjoyed placing each shape onto the contact paper. Picking up those tiny shapes is awesome fine motor practice. Once the leaves are finished, add another layer of contact paper sticky side down. Then, cut out your leaf shapes. 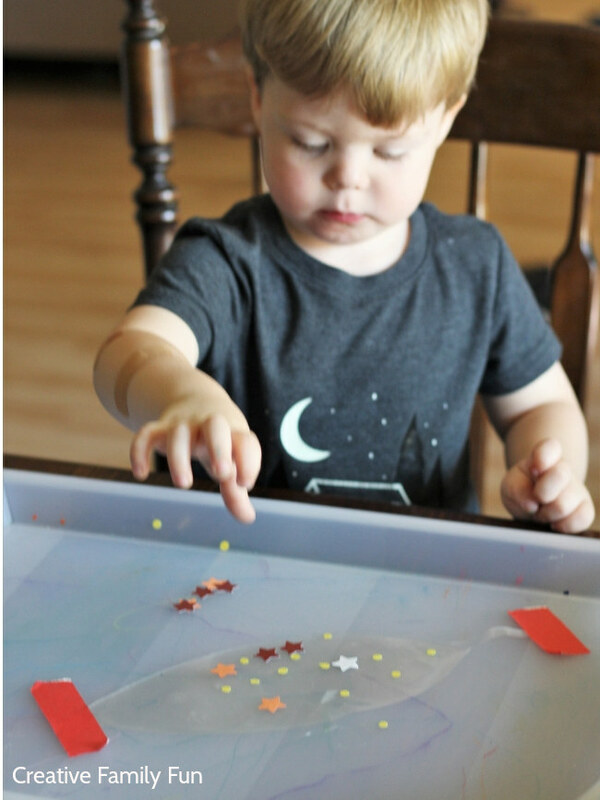 While my toddler was busy adding more and more circles to his leaf shape collage, my 4 year old worked on punching stars and created two leaves. The bottom two leaves in the picture above were created by her. My toddler was super proud of what he created, too. 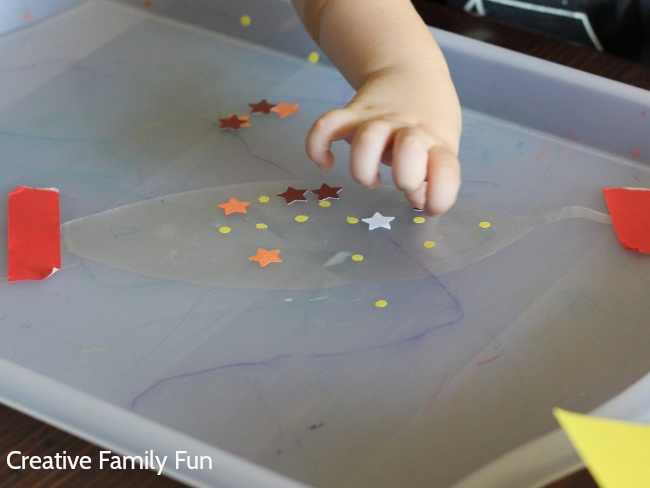 If you had fun with this activity, you can find more fun and simple crafts for toddlers here. Have fun together!